Ruthlessness in front of goal at the Allianz Arena is key to Liverpool’s hopes of reaching the Champions League quarter-finals, Andy Robertson believes. 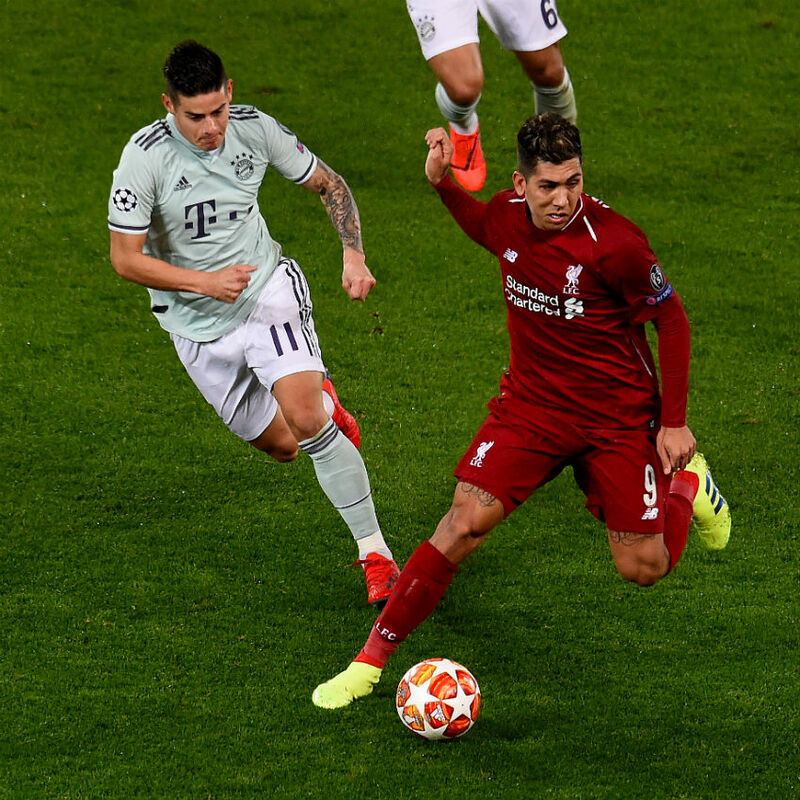 The Reds played out a gripping 0-0 draw with Bayern Munich in Tuesday’s last-16 first leg at Anfield, meaning the tie remains in the balance ahead of next month’s second game in Germany. 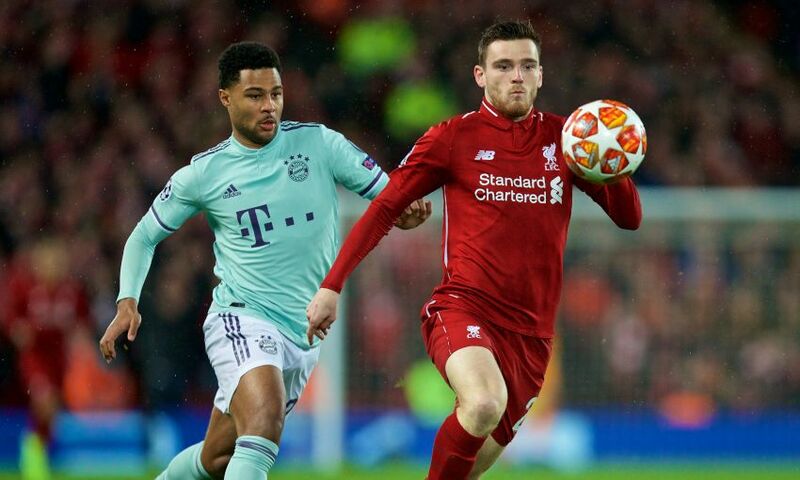 Left-back Robertson acknowledged a sense of frustration at the outcome of a keenly-fought contest, but he feels Jürgen Klopp’s side can get the result they need at the Allianz in order to continue their Champions League journey. “We’re at home [so] of course we’re disappointed,” the Scotland captain told Liverpoolfc.com. “We want to win every home game that we play especially, but we came up against a very experienced team: a team that have been here and done it for six or seven years now and they knew how to frustrate us, they knew how to frustrate the fans and they did it well. “But we had chances to win the game. If we took them on another day then of course the result’s different, but I don’t think anyone can argue that the draw was probably the fair result. “Of course they’ll be happier with a clean sheet but a clean sheet at home in the Champions League is so crucial because we know that when we go over there one goal counts as a wee bit more than that, and if we can grab one then they have to score two at least. “These are all things that come into play and with the chances we’ve got, if we can be a bit more clinical we believe we can score over there. “We back ourselves to win any game whether it’s home or away, and tonight that’s why we’re disappointed. Going over there’s a new challenge, there’ll probably be a wee bit more pressure on them than us because they’re at home and their fans will start demanding things. “We can try to play our game and try to create the chances that we need and get goals, and if that happens it’ll put us in the driving seat. The first half of Tuesday’s game was played at a frantic pace, with the second period a somewhat more cerebral affair. That change, Robertson said, was down to a minimising of errors from both sides. “I think the first half was based on mistakes, really, I think both teams made quite a lot of errors in losing balls and it was all about regaining possession,” he stated. “That’s why it was probably so hectic and there was a wee bit more quality in the second half, that’s why it was probably a wee bit calmer. There wasn’t many chances [in the first half], but every chance that they got and we got came from mistakes so at half-time we had to cut them out. First up in the run of ‘big Premier League games’ prior to the second leg mentioned by Robertson is Sunday’s trip to Old Trafford to face Manchester United. The No.26 continued: “It’s another huge game. The boys need to recover and we get going. I think it’ll be a bit of a different game than we faced the last time… under this new manager they’ve picked up and they’re a very different team, especially at home, and it’ll be a tough task.